When you have wide feet, your choices for athletic shoes are somewhat limited. Nike is one of the most well-known athletic footwear companies in the world, and their shoes famously run narrow. Some models come in wide and extra wide sizes. 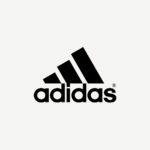 This gives those of us with wider and thicker feet the option to enjoy these elite athletic shoes. 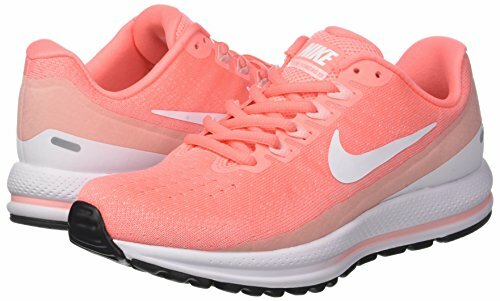 We have reviewed the best Nike running shoes for wide feet available to men, women, and children. 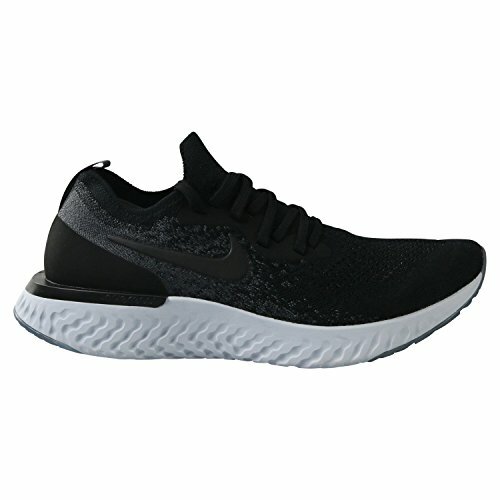 For a lightweight and cushioned running shoe, the Nike Epic React Flyknit is a well-designed model. The fabric upper wraps around the foot, moving with you during your walk or your run. The elastic fabric fits around wide feet as well as narrow feet, making this model preferred by men and women who need a wider shoe. Available in men’s, women’s, and youth styles, the Epic React Flyknit comes in many colors. The flexibility of the shoe comes recommended for people with problem feet, such as arthritis and swollen joints. The secure heel cage and the TPU heel clip hold your foot in place during your run, while the shoe’s React foam technology bounces back with each landing. 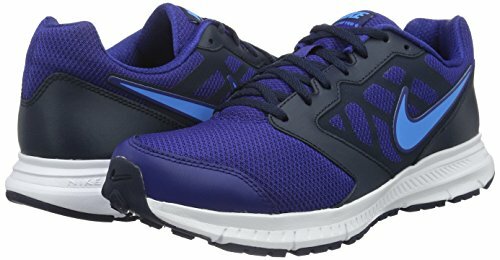 This lightweight and comfortable running shoe has no break-in period, making it ideal for active men and women with wide feet. The NIKE Revolution is one of the most popular models in the company’s history. Although there have been several redesigns, they have become narrower with every release. The NIKE Revolution 3 is the best model for wider feet. Available for men, women, and children in several color schemes, the Revolution 3 has a stretchy and breathable mesh upper. No-sew overlays and a wide toe box add incredible comfort during your daily run. The rubber outsole has amazing multi-terrain traction, keeping you stable on your feet. Great for long-distance running, the Nike Revolution 3 remains one of the company’s best-selling running shoes among customers with wide feet. 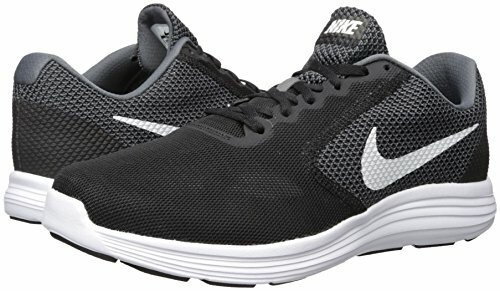 Ideal for neutral runners, the Nike Downshifter 6 is a moderately priced running shoe for men, women, and children. Available in multiple colors, the mesh upper has synthetic and leather overlays to secure the midfoot and heel during activity. The rubber outsole has excellent traction on various terrains, with flex grooves for better heel-to-toe transition. With a 1.25” heel, the outsole provides extra shock-absorption for runners who land on their heels. A Phylon foam midsole provides excellent bounceback and cushion for a smoother ride. Although this model has received two new upgrades, the Downshifter 6 remains a favorite for running, crosstraining, or everyday wear. 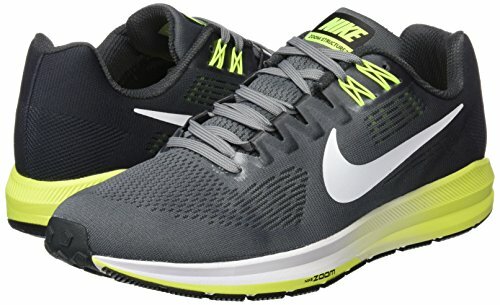 The Air Zoom Pegasus is one of the most supportive running shoes by NIKE, but you have to go back a few models to get the right fit for wider feet. 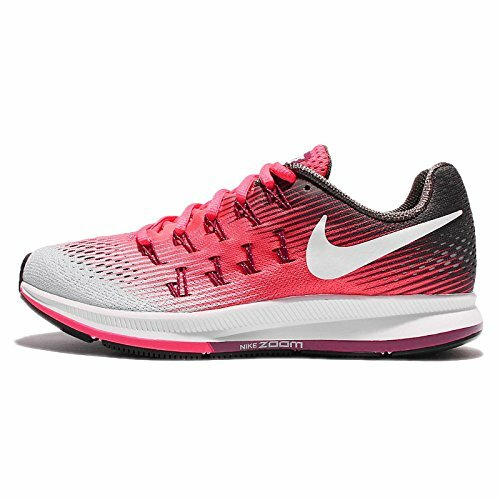 The Pegasus 35 runs very narrow in the forefoot, but the NIKE Air Zoom Pegasus 33 has a looser fit to accommodate men and women with a wider foot. 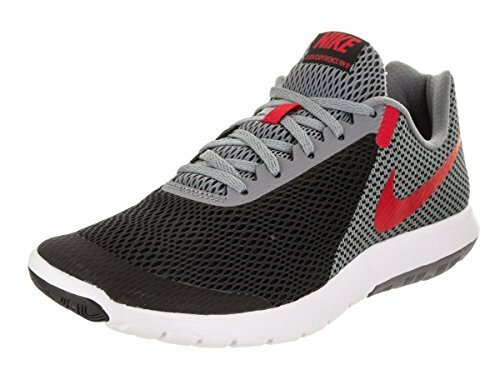 Available in many styles and color schemes, this extremely lightweight running shoe is available in men’s, women’s, and youth sizes. The breathable, comfortable mesh upper has Flywire cable lacing to guarantee an adjustable fit. Repeat customers love the upper of the Pegasus because it dries quickly after washing. The real winner of this shoe is the responsive midsole. With Air Zoom units inside cushion foam, it has excellent rebound and bounceback for both long-distance and marathon runners. The rubber outsole has great traction, with more air zoom units under the forefoot to help runners with their toe-offs. An excellent fit for wide-footed runners at the competitive level, the Nike Air Zoom Pegasus 33 maintains a loyal customer base (despite some upgrades). Unlike the previous shoes on this list, the Lunar Glide 9 flips the script on the usual experience for wide-footed runners. Instead of using outdated models, runners with wide feet will love the newest version of the Lunar Glide. The 9 has more width in the upper forefoot and the toe box than earlier models, making it easier for a natural toe splay during take-off. This running shoe is available in men’s and women’s sizes, and the Lunar Glide’s breathable Flyknit mesh upper moves with you during your run. Keeping the cushion and support of earlier models, the Lunar Ion foam midsole still provides a responsive ride. 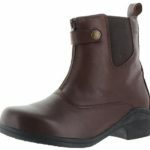 The rubber outsole has excellent traction, with a unique design to support the natural heel-to-toe transition. With a streamlined fit and a lightweight feel, you’ll be surprised to learn that the NIKE Lunar Glide 9 is particularly engineered to correct your gait. This shoe is a great choice for runners with wide feet who also need corrective footwear to support overpronation or supination. With the recent improvements to the NIKE Air Zoom Vomero 13, this model lost room in the forefoot. This gives the Vomero 14 a more streamlined fit, so runners with wide feet prefer the previous version for the roomier toe box. The Vomero 13 – available in a variety of color schemes – has a mesh upper with Flywire cables that support the midfoot during movement. The Lunar Ion foam midsole – also found in another shoe on this list, the Lunar Glide 9 – has excellent cushion and bounceback on landing. This creates a smooth ride during your run, reducing the impact on your joints. Although the toe box is wider than the upgrade, it is narrower than other Nike models. The Vomero 13 is the best fit for men and women with feet on the broader side of narrow. If you prefer a stability shoe for your runs, then the Nike Air Zoom Structure 21 is the way to go. 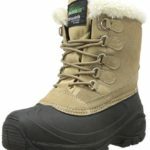 This moderately priced option has the width that you need in the forefoot with a wide toe box for long-lasting comfort. The water-resistant mesh upper allows you to tackle your run in any weather, and Flywire cables cradle your midfoot for enhanced support. The tough rubber outsole has flex grooves and a crash pad for shock-absorption, encouraging a smoother heel-to-toe transition. Nike Air Zoom units run along the bottom of the outsole for a more cushioned ride. The foam midsole also provides extra impact protection, adding more cushion with every landing. Unlike most Nikes, the Structures tend to run true to size, making this model optimal for men and women who need a durable and reliable running shoe. If you need a shoe you can wear anywhere – whether its running errands, to work or on your daily exercise run – the NIKE Flex Experience RN 6 is one of the best lightweight options. Available in men’s and women’s sizes, they are great for athletic or casual use. The flexible mesh upper fits your foot like a glove. It breathes well, making it a comfortable shoe for anyone – no matter your foot size. 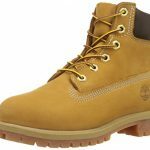 The slip-resistant rubber outsole has excellent traction so that you can take in your run or your errands in any weather or terrain. The Nike Flex Experience RN 6’s best feature is the injected foam midsole, which has the cushion and response that you need in a good running or walking shoe. Although this model has gone through a few redesigns, it lost the space and support of the RN 6 that make it such a comfortable fit. Finding a quality fitness shoe when you have wide feet is a challenge. Usually, you face the decision of length over width: if the shoe fits your feet length-wise, it will feel too tight, and if the shoe fits your feet width-wise, it will be too long (Running hack: you can lace your shoes differently for wide feet! Check out the link below.). If you are a fan of the Nike brand, this is especially problematic, since their shoes run narrow. However, the models on this list come in wider sizes, so you will be able to find a running shoe that works for you. Many of them come in youth sizes as well, so you and your children can match when you hit the pavement! If you want more great running shoes, check out our Best Running Shoes for Wide Feet article.